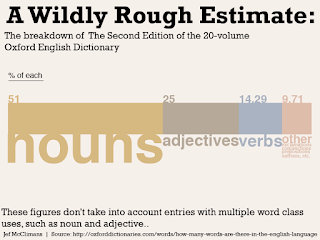 How many new words are entering the English language? Are all these new words in the dictionary? English does not have an equivalent version of the Académie française. The only official recognition comes with an entry in the Oxford English Dictionary (OED). Interestingly much of this new vocabulary has not been formally recognised. Nearly half of the new words are not included in any dictionary and are dubbed lexical "dark matter". They are either slang or invented jargon. Why does the OED restrict the words it includes? Because there are so many words in English! 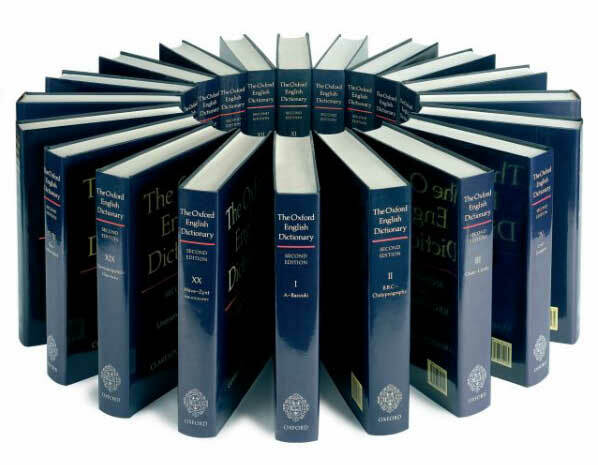 The OED is already more than three times bigger than the equivalent dictionary for any other language. Where are we going to put them all these new words? I asked myself, looking at the 20 volume, 650,000 word complete Oxford English Dictionary (OED) on the shelf behind me. 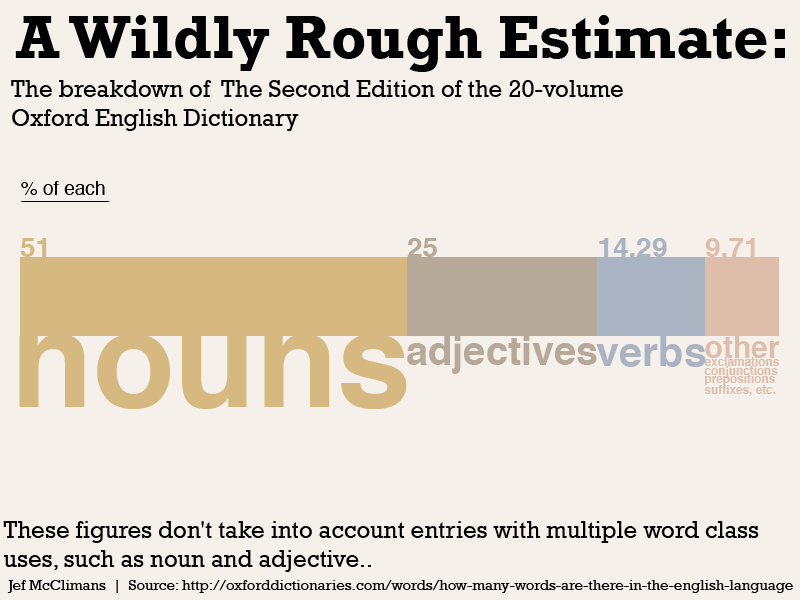 Even the comically misnamed Shorter OED is two very fat volumes. In fact the OED has come up with a solution - it's gone exclusively online! That will save library shelf-space but are we losing something? 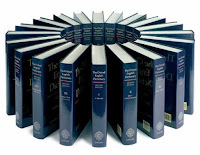 Listen to the editor of the OED talking about the online version here.